The Beast from Dimension Y, in its death throes, generated a rift that transported me to an alien time and place. Mansion. 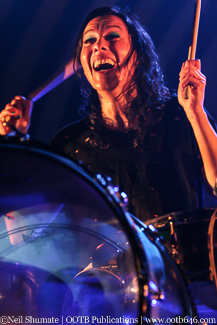 Instead, I found a stately venue packed with young fans, arms raised for a duo known as Matt and Kim. this “Matt”, rendered intoxicating beats from his keyboard. astonishment, stood but two—the only heroes the audience needed. technological know-how was utterly befuddling. Prince of Space, fresh from defeating an extradimensional creature, had met his match. 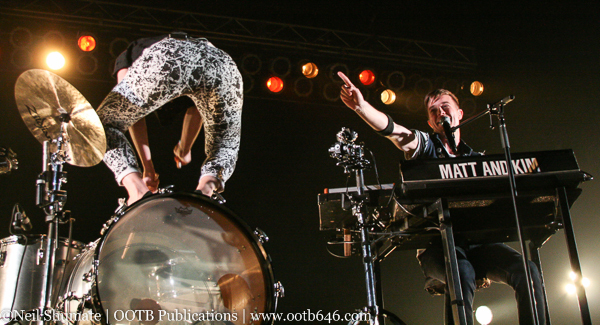 Brooklyn based indie dance duo Matt and Kim recently released their fifth album New Glow including singles: "Get It,"
presented by CD102.5, the duo is continuing it's tour trek with Waters.